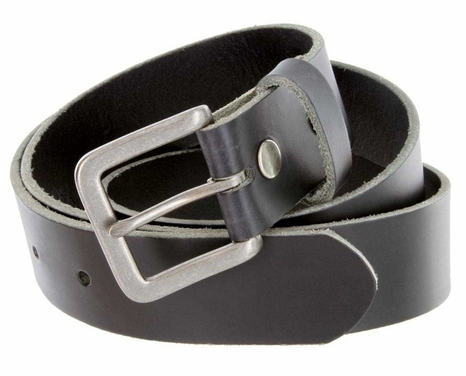 595735 Men's one piece solid full genuine cowhide leather dress belt . 1-3/8" (35mm) wide belt Strap. Belt Size measured from where the leather ends at the buckle end to the middle hole at the tip end. For Questions, or to order call Toll Free 1-888-692-3587.